You've heard about solar panels over the years, is it time to talk to a roofing contractor to see if they're right for your home? If you live in a sunny area a solar system could be a good choice. Most roof solar panel systems provide partial power for a home, but larger systems can provide all the electrical power a home requires. Some solar panel companies contract with local roofing contractors to install their panels. The prices of solar panels are coming down and there are federal tax credits that may cover a percentage of the costs for a homeowner to install a solar panel energy system. 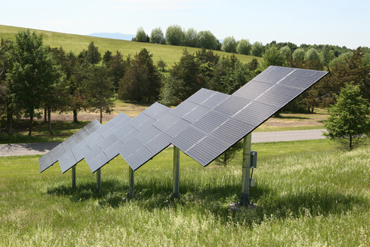 Some states and localities also offer rebates for installing solar panels. If you're interested in installing solar panels on your roof, we can help put you in touch with local companies who can provide free, no obligation estimates.